Terms like mobile money, mPayments, and M-PESA are all the rage in International development these days, but what do they really mean for the national development of countries we attempt to help? Menekse Gencer of mPay Connect will lead us in a discussion of mobile financial services, the full gamut of finance that is now taking place on mobile phones: mobile payments, mobile microfinance, and mobile banking. 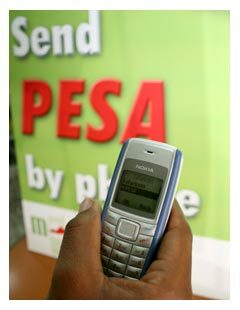 mPay Connect research shows M-PESA saves 3 hours per day for every Kenyan subscriber in reduced shoe leather costs – the cost of walking money from place to place. If we multiply 3 hours per day, by 13.2 million subscribers, by 365 days, that’s 14.4 BILLION hours saved per year. Add in the average wage per hour in Kenya, and the time savings start to make you gasp in savings shock. How can USAID and its implementing partners also leverage mobile financial services to increase the efficiency of foreign assistance? Two simple suggestion to start: contractors using mPayments to pay host country national staff and national pensions paying through mobiles. We’ll have hot coffee and Krispe Kreme donuts for a morning rush, but seating is limited and the UN Foundation is in a secure building. So RSVP ASAP to be confirmed for attendance or you are on the waitlist.